Drawing on the soon-to-be published book, Fashion Installation: Body, Space and Performance (written with Vicki Karaminas), Adam Geczy ex-amines the scenic, the staged and the specular since the beginnings of haute couture at the end of the nineteenth century. The transition from clothes to fashion is one based on image, imagination and desire. As such, fashion is a performance, always something staged, based always on something unreal, unresolved and beyond the everyday self and world. While many of the earliest designers and fashion entrepreneurs knew this intuitively, today the spectacle of fashion occurs increasingly in virtual realms, in dreamscapes, where the material garment has all but disap-peared. If fashion is defined by time, the spaces of fashion are those of “air”, nimbuses of suggestiveness like those generated by perfume. 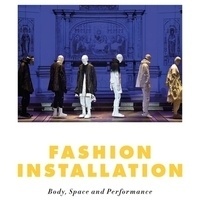 Hosted by the MA Fashion Studies Program, Parsons School of Art and Design History and Theory.